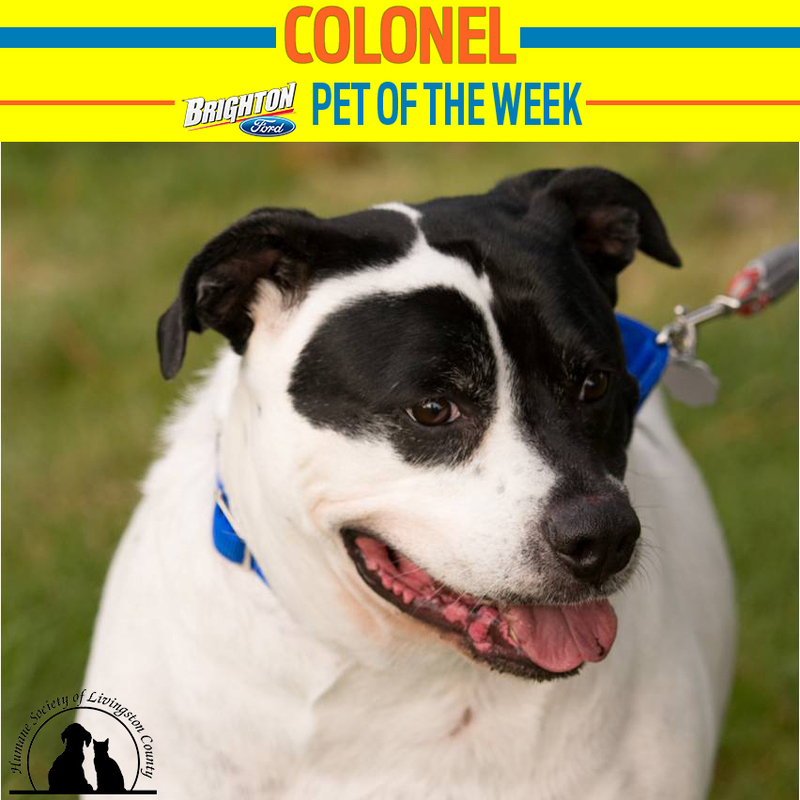 Colonel, the Brighton Ford Pet Of The Week, came to the Humane Society of Livingston County grossly obese and is on an extreme makeover diet! He was the Companion Animal for an elderly man who passed away and Colonel’s desperately looking for someone to connect with and serve in that way once again. He needs someone who would commit to a disciplined exercise program with great nutrition. He’s anxious at the shelter because it’s overwhelming for him there, so make your home Colonel’s forever home just in time for the holidays. He would probably be best as an only child where someone could focus their attention solely on him. Colonel loves going for long walks and spending time outside, he would be a great family dog with someone who is able to give him a safe wonderful haven for the rest of his life. Call the Humane Society of Livingston County to schedule some time with Colonel at 517-552-8050.